What is the Best Digital SLR? If you're shopping for a new camera and wondering what is the best digital SLR then you're certainly not alone. A great many people have asked me this exact question over the years and when the question is asked without any supporting context, them my answer is always the same: "it depends". Example: the best DSLR for someone who wants to photograph race cars is not identical to the one for the person who loves taking pictures of flowers. These are two very different photographic needs, and they require different types of cameras to ensure that the photos the camera captures are in-line with the vision of the photographer. If you've just landed on this page and don't already have a strong sense of WHAT you want to photograph, then I encourage you to take some time to figure that out first. If you do have a sense of what you'd like to photogaph then in the page below I'll point you to some camera options that will help you capture the photos YOU want to take. If price is your primary concern (and it is for a lot of people these days) then your best digital SLR is one that offers a lot of features for a moderate price tag. Your decision to get a budget digital SLR depends on your answer to one important question: do you now, or will you ever, have ANY desire to use the camera's MANUAL modes? If the answer is a definite "no way" then you are fine with a budget camera and should be quite pleased with the results you get. However, if you've always harbored a secret desire to learn more about photography technique and want a camera that you can "grow into" then it might be worthwhile to save up for a few more months so you can get a more advanced camera. 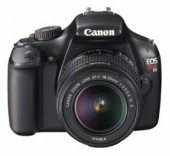 For those who have to decided to stick with the budget route, the two least expensive DSLRs currently available are the Canon Rebel 1100D T3 and the Nikon D3200. When you want to travel with your camera, the two main criteria to pay attention to are its size and weight. You wouldn't think that a few more ounces/grams would make that much of a difference in the portability of a camera but I've found that it really does. After an entire day spent hiking or walking, the lighter the camera strapped around your neck the better you'll feel. Here's a more important point: the smaller and lighter the camera, the more inclined you'll be to take it everywhere. Since some of the best travel photo opportunities are only available in remote places, you can capture the magic of the moment since you're willing to tote your camera along. One last benefit of the smaller digital SLRs is that they tend to draw less attention. Yes, you're still snapping away with a pretty big camera, but at least it's not a huge SLR that says "look at how expensive I am!". Some options to consider here are the Canon Rebel 1100D T3 (17.5oz / 496g), the Nikon D3200 (17oz / 482g) or the Sony SLT-A55 (15.5oz / 439g). Anyone just getting started in the world of digital SLR photography doesn't need a camera with every feature imaginable. However, you don't want to get a camera that is so basic that you find it lacking after a few years of use. Even if you're a beginning SLR photographer today, you'll become more confident with your camera the more you use it Since this is the case, you'll want a camera with straightforward controls that also has enough features that you can "grow into" as time passes. Some cameras that strike this balance between ease-of-use and feature-rich include the Canon Rebel 600D T3i, the Nikon D5100, the Pentax K-r and the Sony ALPHA A560. Many digital SLR cameras are released each year, providing photographers at all levels with a variety of models to choose from. Since 2005, I have selected one camera from the list that I feel represents a good deal or that provides an innovative feature set. For me, the "best" digital SLR of any given year isn't necessarily the fastest or the biggest. Instead, I'm looking for features that make a camera stand apart from the rest of the pack, ones that provide photographers with new tools or features to help them capture the world around them.